My uncle Jan who at 80 years old is arguably one of Holland's oldest pilots, logs most of his recreational flying hours in Holland and was lucky recently to have a KLM pilot tag along as copilot, and since it was a slow day at one of Europe's busiest airports (and his friend obviously is comfortable flying around there), he was able to get some unique shots of Rotterdam and Amsterdam airport as well as downtown Amsterdam (palace at bottom) from a light plane which normally would not be possible. 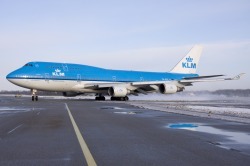 Jan's son Robert flies his Robin out of Rotterdam airport which as it turns out is an emergency alternate for Amsterdam;the problem is that the runway is too short normally for the larger jets but even so, occasionally a heavy will have to land there as was the case recently with the pictured KLM jets below. The runway is too short for the fully loaded 747 to take off again so all the passengers had to get off, including luggage in order for the big jet to take off and fly back to Amsterdam-about a 10 minute flight. I'm not sure exactly what he was doing driving his car in front of the heavy taxiing onto the runway, but I think it runs in the family....the 747 got off in 1500 metres. 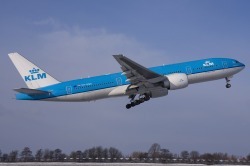 The other plane is a 777 that also encountered the same problem at Schiphol and had to go to Roterdam first. 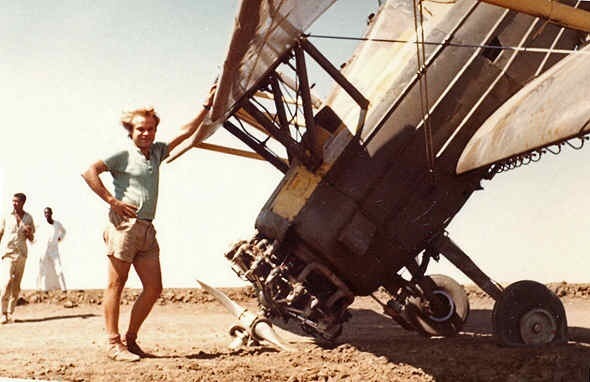 Uncle Jan with the "new" PH-DAS airplane, owned by my cousin Robert and hangared at Roterdam. If you have photos of your plane with call letters and photo of a unique airplane that carried them previously, send them to me at ed.das@rogers.com and I'll post them on my website. Cousin Robert's plane with new British registration (with Das family name) and photoshopped "C" as a nod to his Canadian cousin.